The 7th annual Student Affairs Assessment and Research Conference is Friday, June 9, 2017. Join over 250 campus colleagues to learn how to incorporate assessment into your everyday work and improve your practice. Be part of an event that will allow you to share your assessment practices and gain valuable feedback and ideas for improvement. Dr. Renn’s research focuses on the experiences, learning and development of minoritized students in higher education. As MSU’s University Innovation Alliance Liaison, she also studies student success, with a particular focus on low-income students and racially minoritized students. She recently completed a landmark study of women’s colleges and universities worldwide. Dr. Renn is also co-PI of the National Study of LGBTQ Student Success. In tune with the conference theme, Dr. Renn will talk about Making Data Meaningful: Addressing Critical Issues. Dr. Renn will also moderate our lunch panel: This year, we are excited to welcome four outstanding higher education professionals who continue to inform the field of student affairs assessment and research with their vision and commitment to equity and social justice. Tweet questions to the panelists throughout the program: @OSU_CSSL using #SAARC2017. Each year, scholars from the College of Education and Human Ecology at The Ohio State University attend the annual meeting of the American Educational Research Association (AERA). The organization is a professional organization representing educational researchers in the United States and around the world. 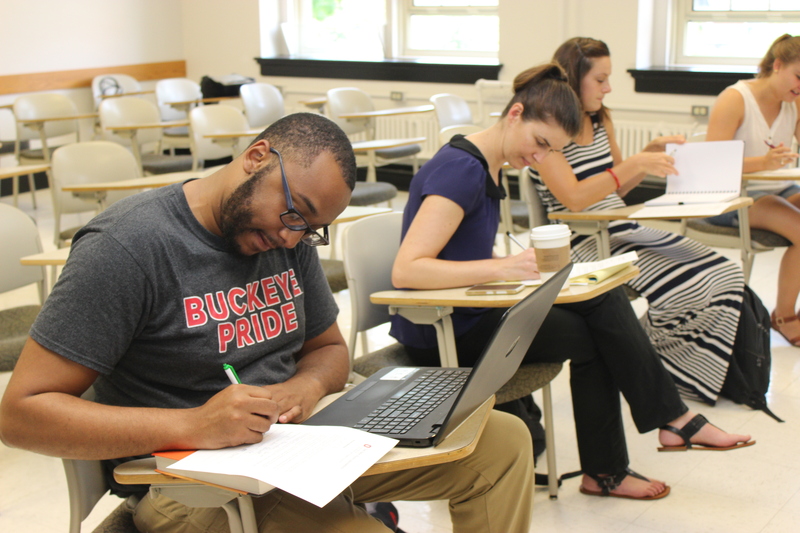 The annual Conference on Excellence in Teaching & Learning is a venue for members of The Ohio State University community to share innovative and interesting, evidence-based ideas for the improvement of teaching effectiveness and student learning outcomes. Faculty and staff from across the university will share ideas and results from their own work with students, in the form of breakout sessions and posters. Lunch is included with your free registration. The OSU ADA Coordinator’s Office is presenting a free conference on access, inclusion and disability April 12-13 on the Columbus Campus. Thanks to the generosity of our sponsors, The Ethel Louise Armstrong Foundation, The Battelle Memorial Fund and Disability Rights Ohio as well as the ongoing support of The Ohio State University, this year’s Multiple Perspectives Conference will be free to students, faculty and staff ($10 each day if you want lunch). The 2017 Ethel Louise Armstrong Lecture on Disability Art & Culture will be presented by Leroy, “Black/Brown International Disability Art/Hip-Hop” featuring art, music and narrative on April 12 at 3:30pm. Immediately following, a reception will feature Student Perspectives- Ethel Louise Armstrong Student Poster Competition. This lecture is at the Blackwell Inn on OSU’s Columbus Campus and is free and open to the public. The 2017 Ken Campbell Lecture on Disability Law and Policy will be presented by Samuel Bagenstos, the Frank G. Millard Professor of Law at the University of Michigan’s Law School. He has served with the US Department of Justice and recently argued Fry vs. Napolean Community Schools, a case at the intersection of the ADA and IDEA concerning a disabled girl who was prevented from using her service dog in school, winning an 8-0 decision. This lecture is at the Blackwell Inn on OSU’s Columbus Campus on April 13th at 3:30 and is free and open to the public. Have Impact: Your Community, Ohio, Nationwide and the World? Ohio AgrAbility: Disability Can’t Stop Ohio Farmers from Farming!